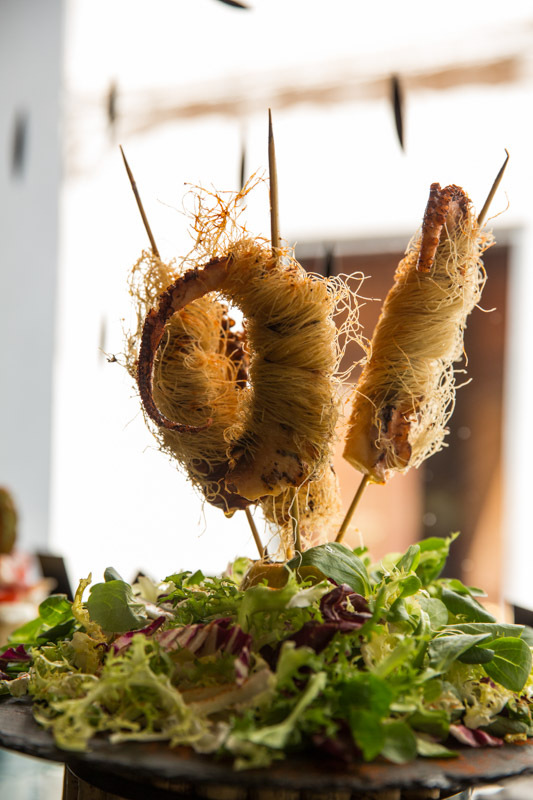 It is a gastronomic, cultural and artistic meeting point. 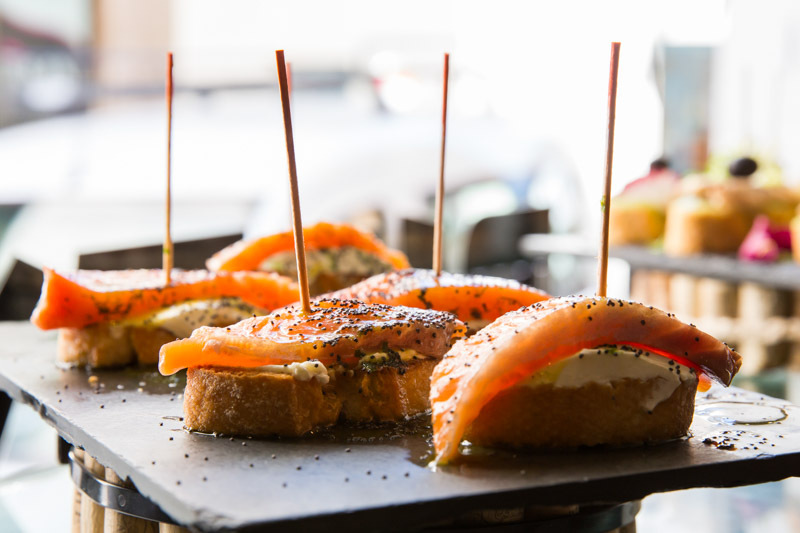 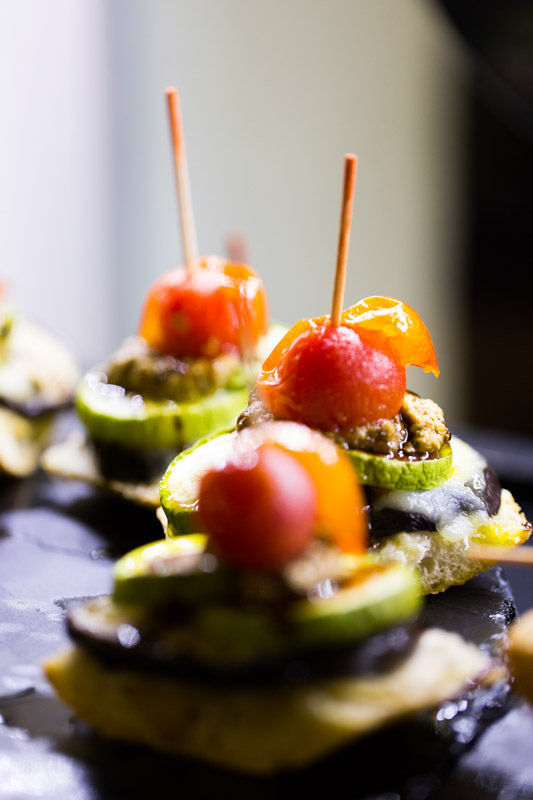 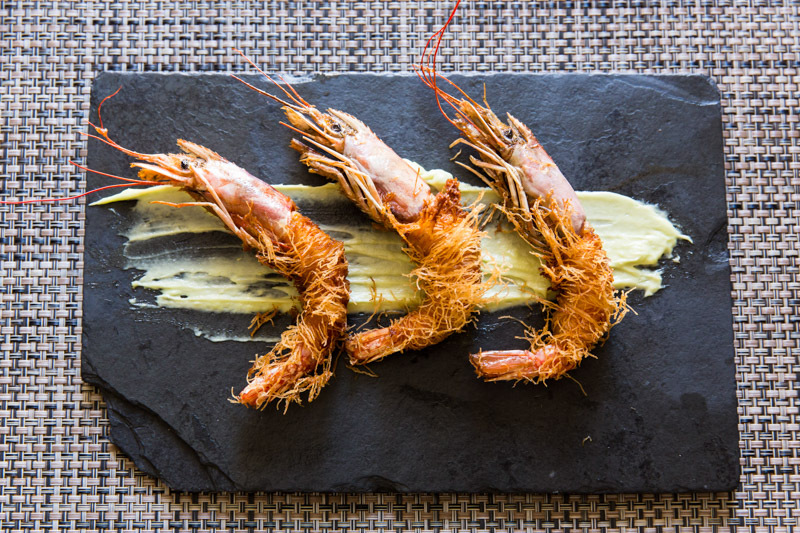 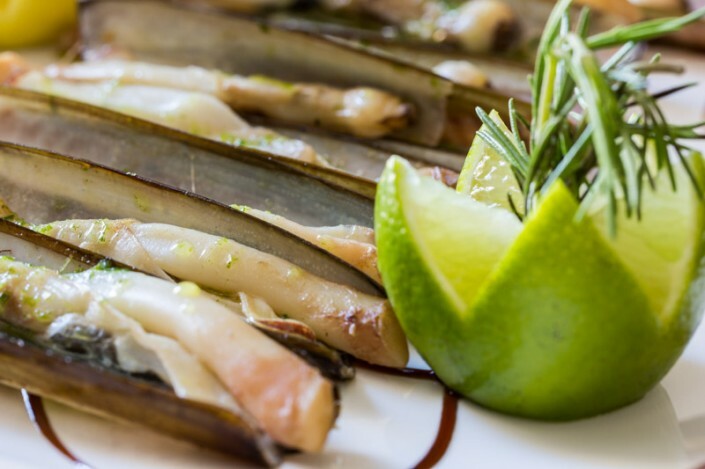 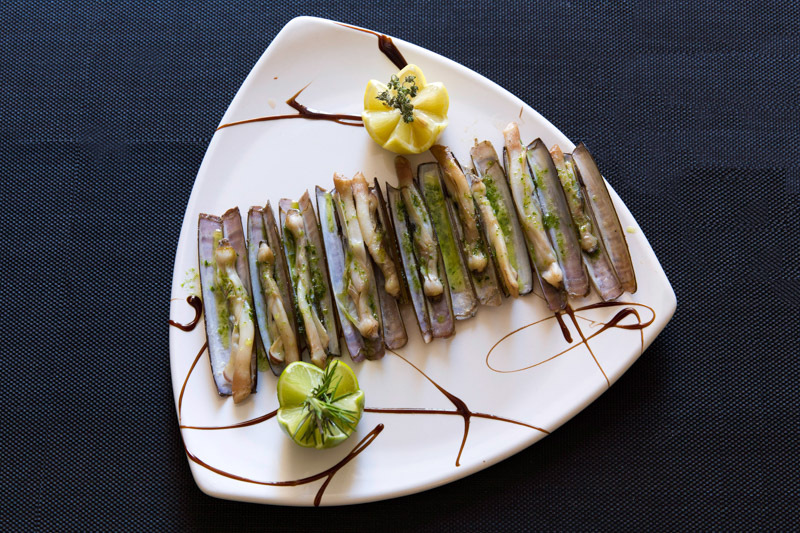 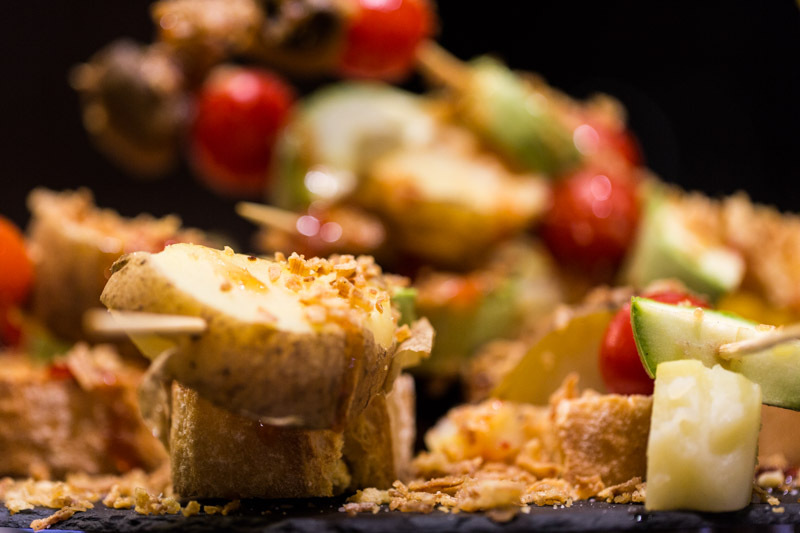 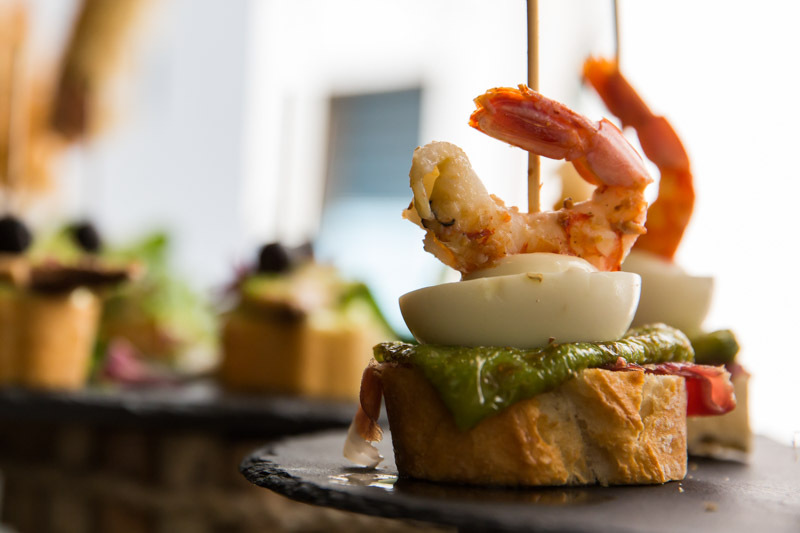 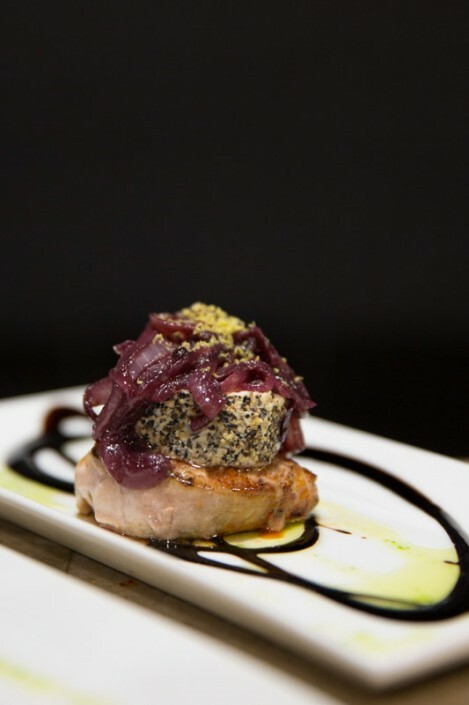 Unlike tapas, which are small portions of a larger dish, every pintxo is an artwork in itself. 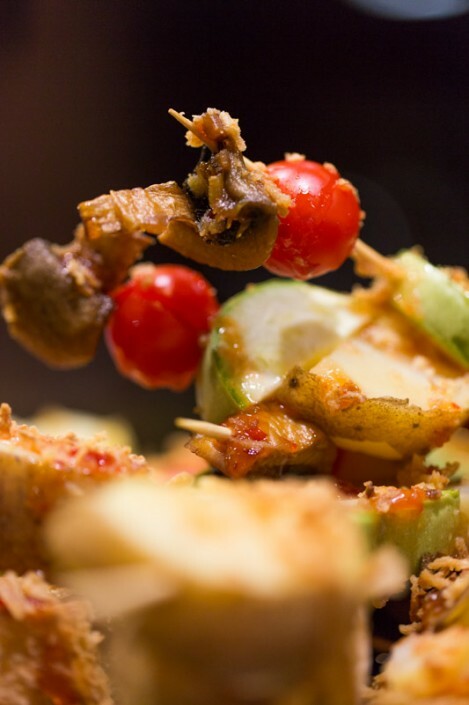 That’s where its uniqueness lies. 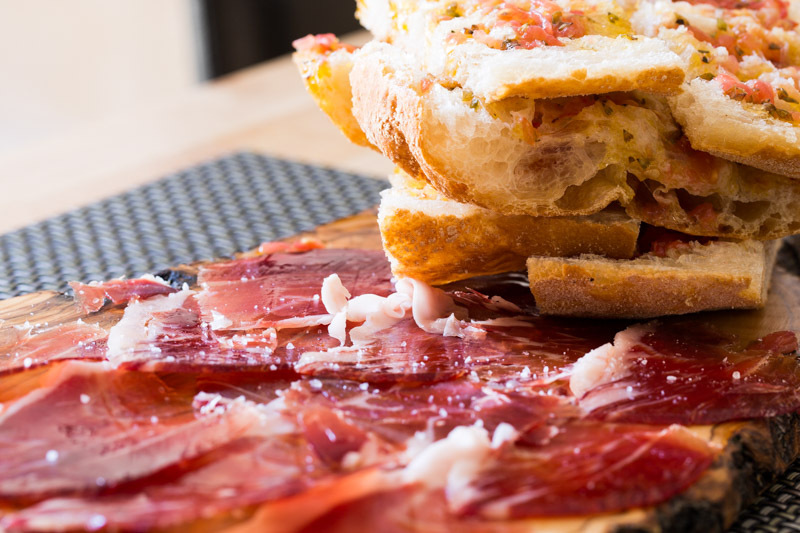 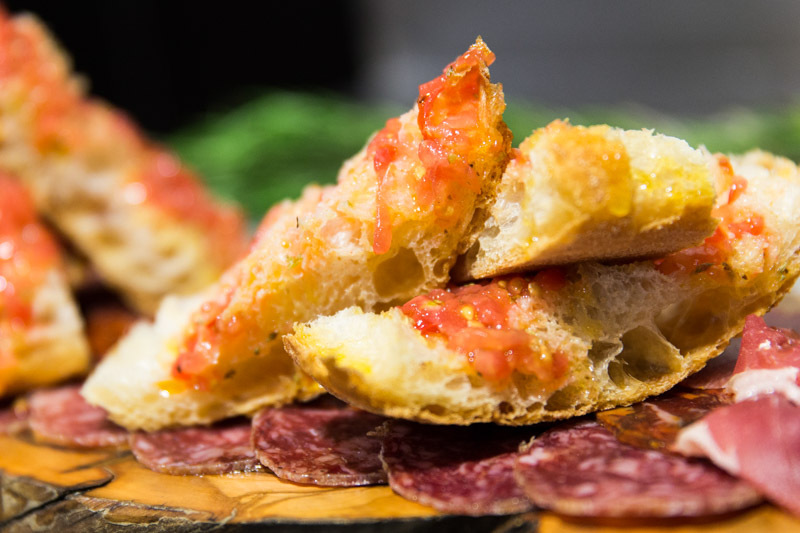 Originally from the Basque country, nowadays you can find them anywhere in Spain. 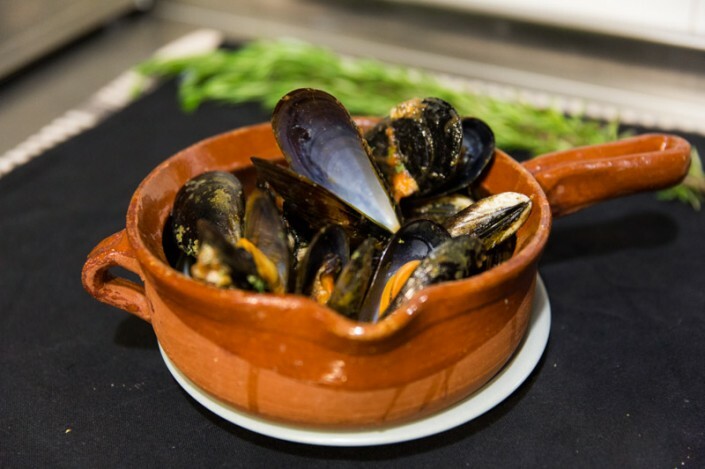 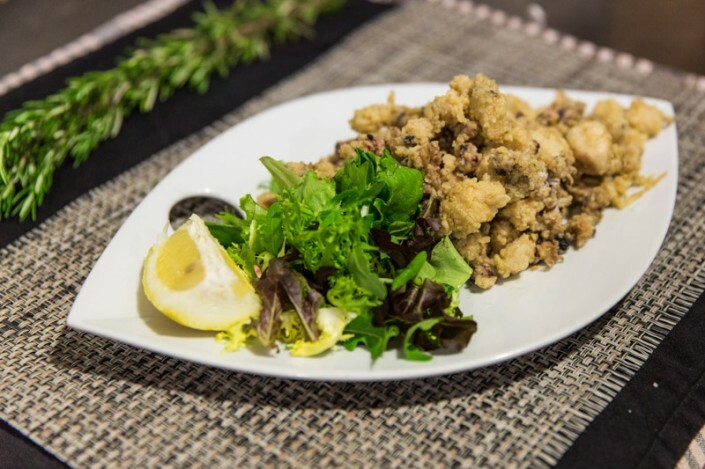 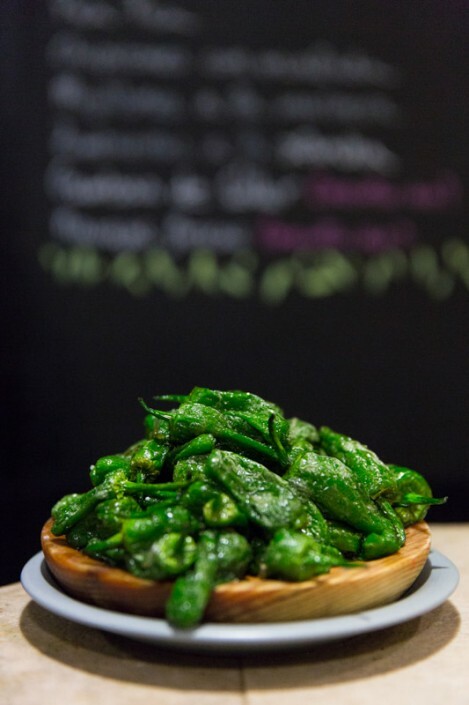 We make them using ingredients from the Balearic Islands. 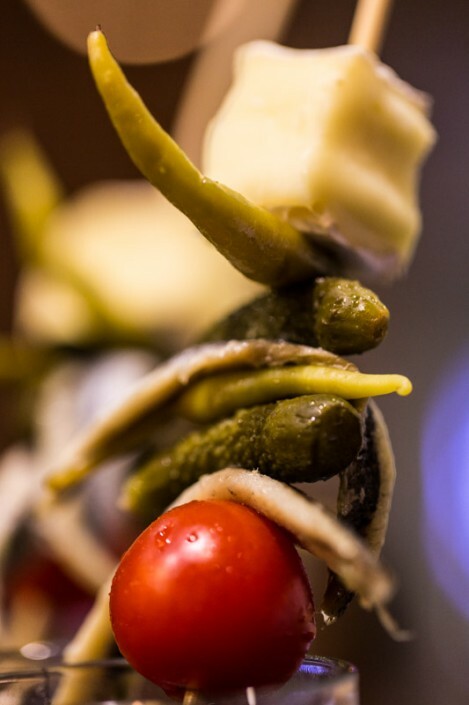 Therefore, our pintos are unique. 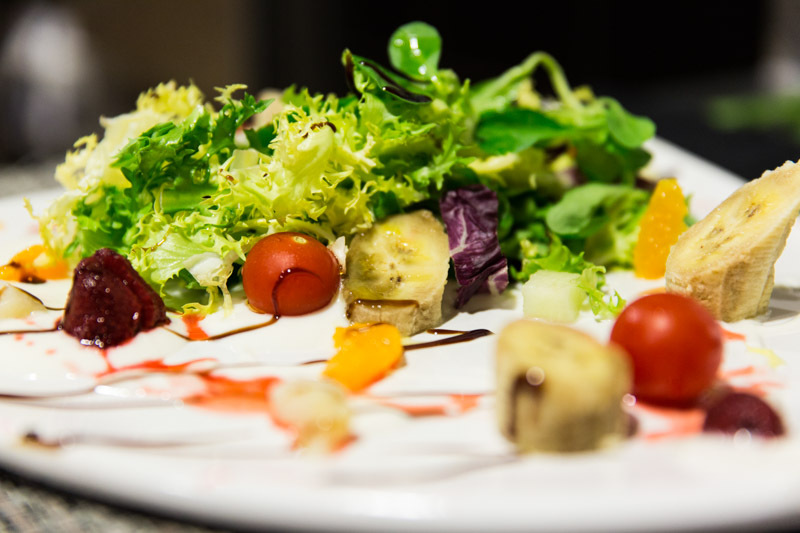 Made daily with fresh and local ingredients of high quality. 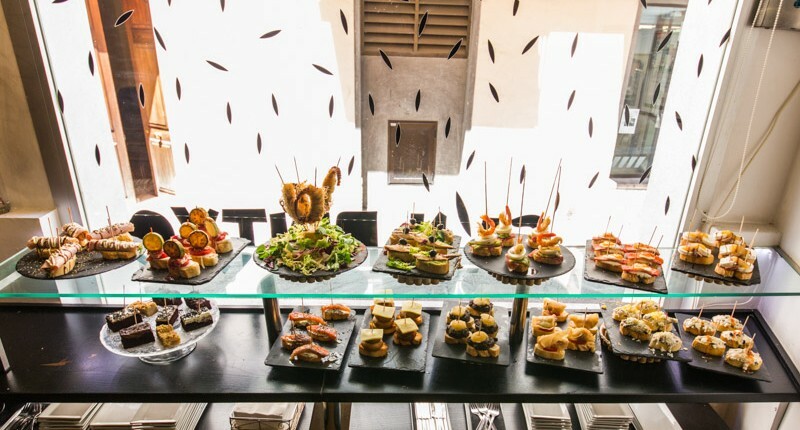 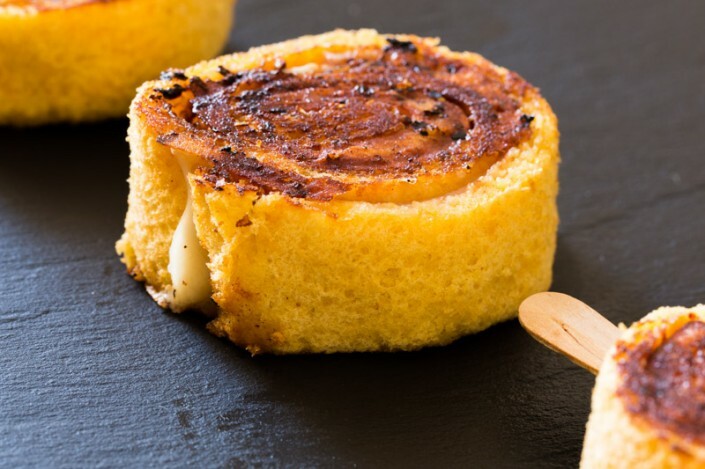 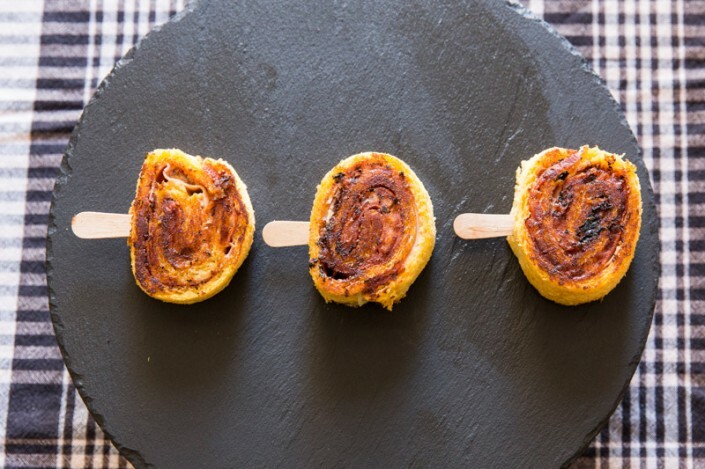 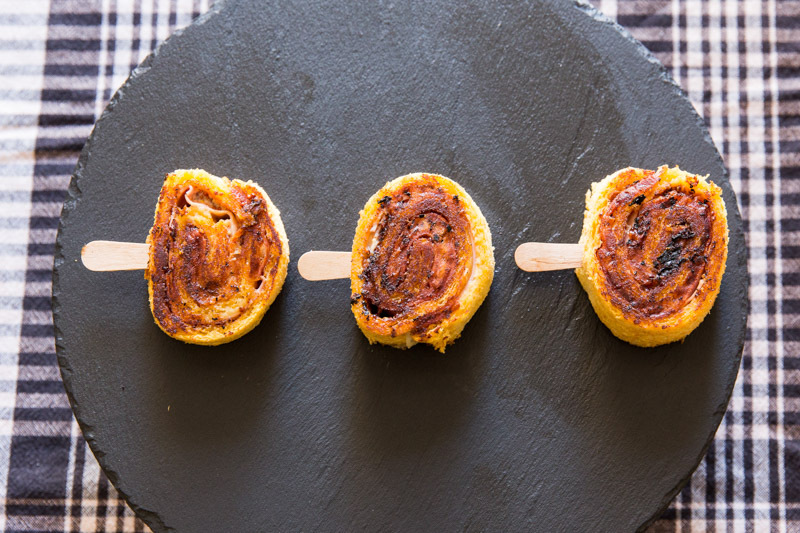 Along the surface of the bar, you will find cold and room temperature pintxos (some of them can be warmed up) and the dessert pintxos, to end the meal with a sweet touch. You can take as many as you like. 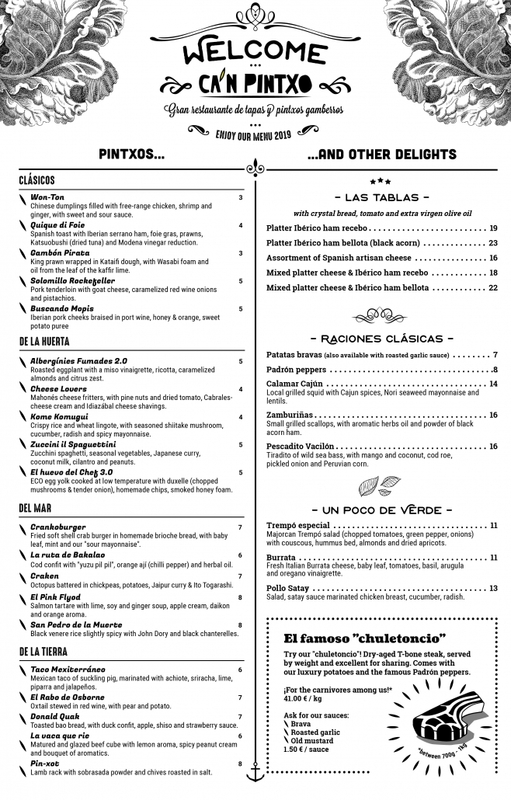 You pay depending on the colour and amount of cocktail sticks you have in the “brown pot”. 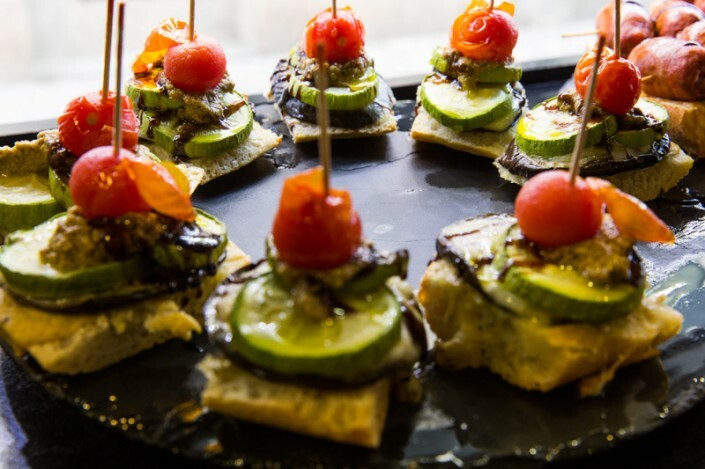 We prepare these pintxos freshly once per day. Thanks to our experience, we usually manage to have a good choice of cold pintxos, even at the end of the day. 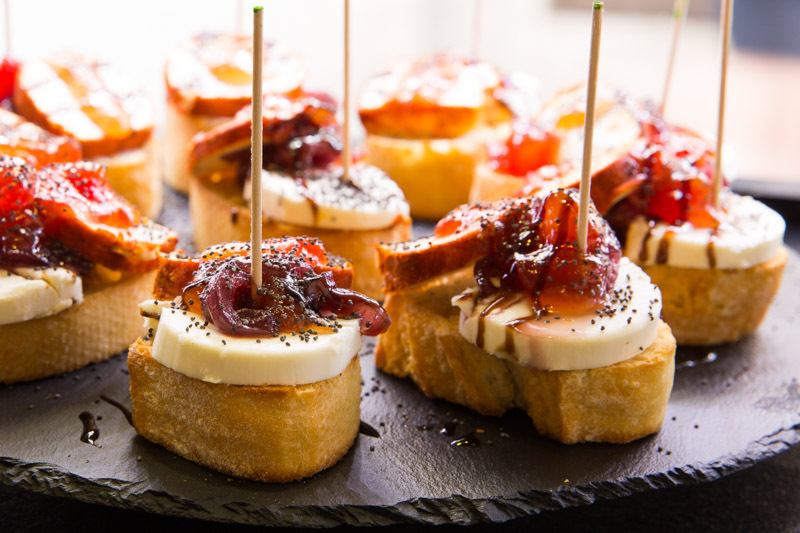 However, sometimes we have too many pintxos left over or some are gone within an hour or two. 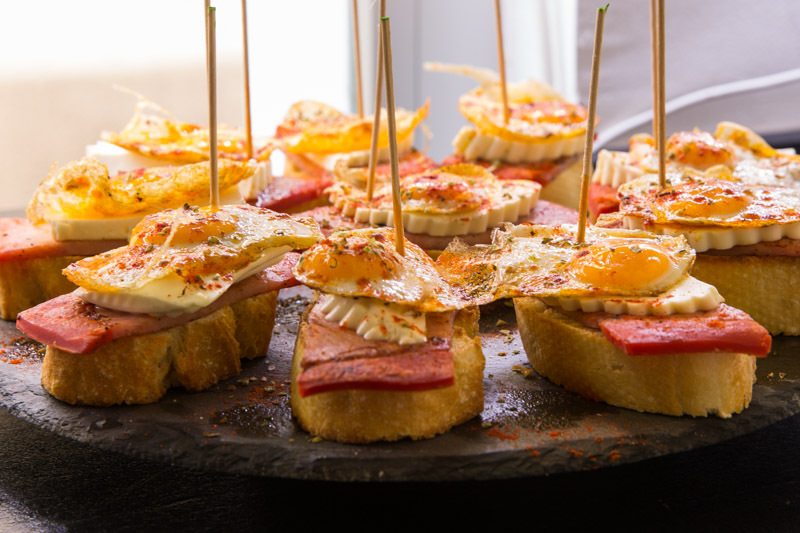 Due to our infrastructure, we aren’t able to replace the cold pintxos because we like to prepare the warm ones with a lot of love. 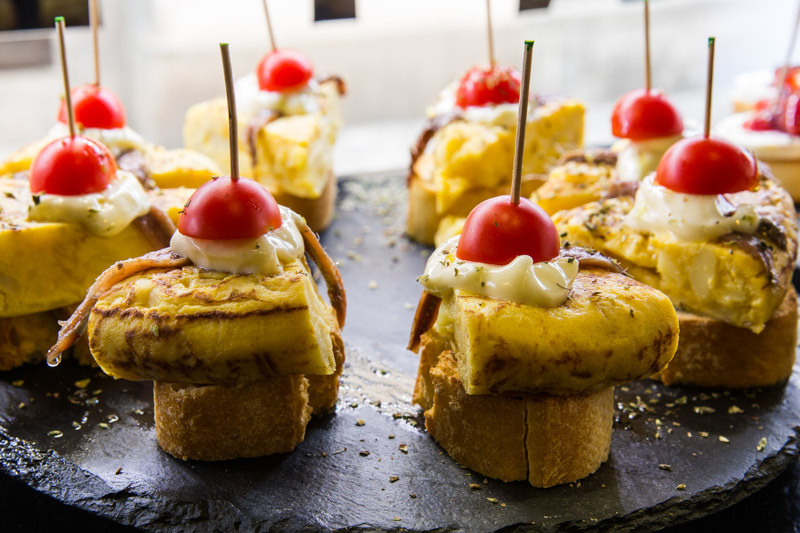 If you find yourself in the situation where there are no more cold pintxos, we are deeply sorry. 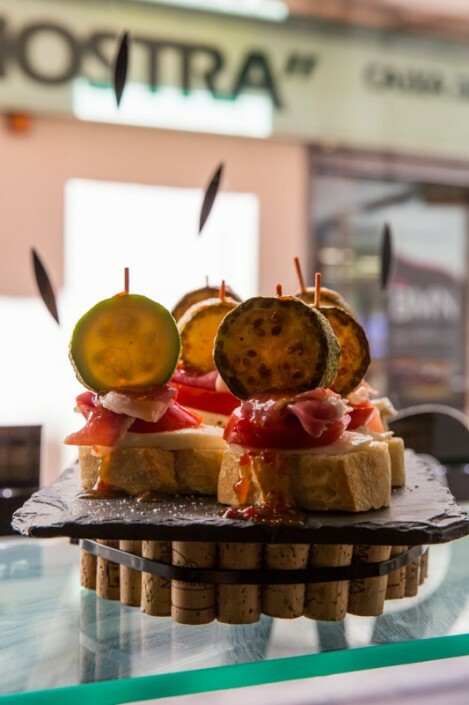 Sharing is our motto, so we suggest you take a risk, order different pintxos and share them at the table. 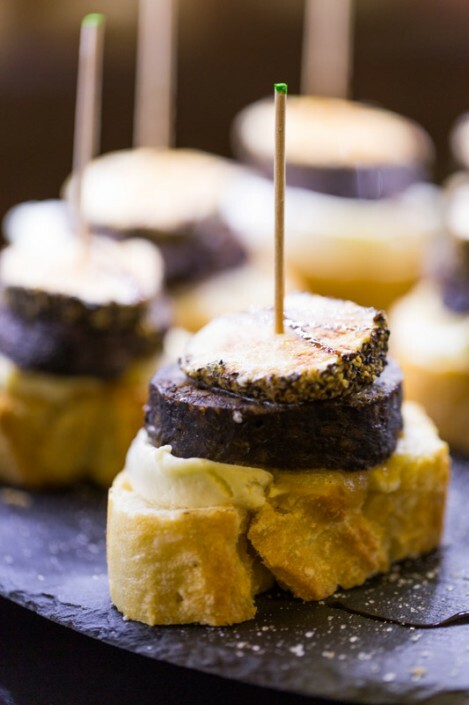 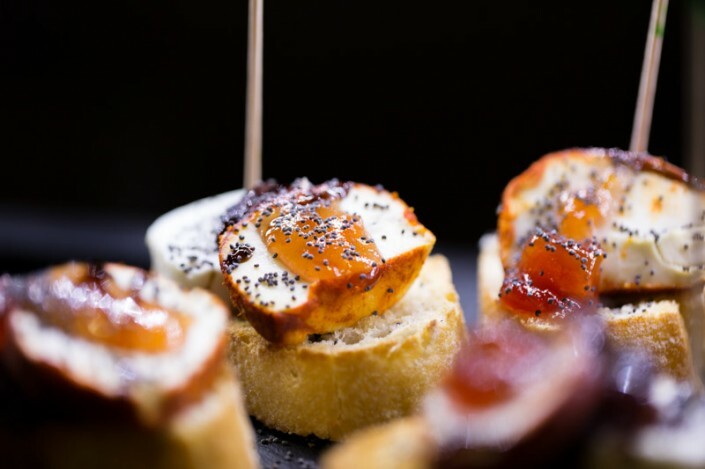 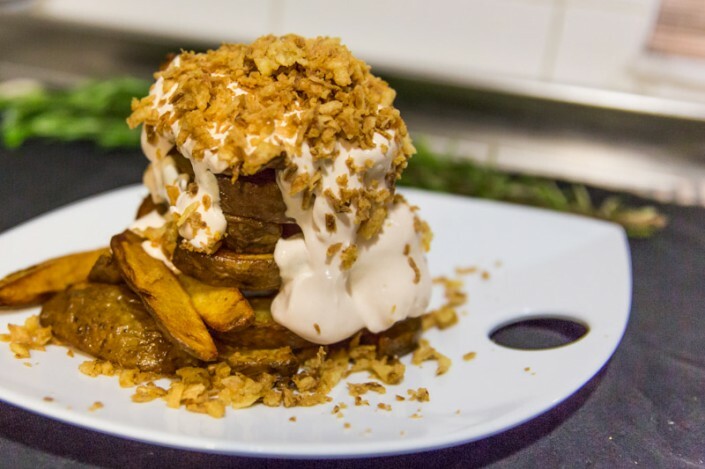 Unless you request differently, our pintxos will be served in the order they are prepared, so you can try different types of food and ingredients.